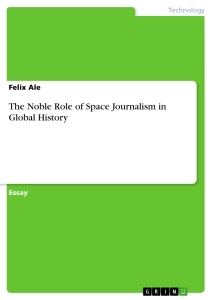 This research paper explores the concept of space journalism at an in-depth degree to give a complete understanding of the phenomenon. The findings are comprehensive, practical and relevant to the real world. The study focuses on some particular aspects such as the opportunities and challenges of space journalism. The study seeks to explore views from media practitioners, institutions of higher learning , developing nations as well as students. 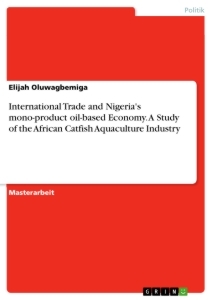 The approach of the paper is to cover the objectives, illuminating on Nigeria as the case study. Nigeria is referred to as the giant of Africa, therefore in regard to the topic, there is extensive research on the roles that space journalism could take so as to make the country a real giant in Africa. Further more, there is a critical analysis of space journalism highlighting the economic benefits in the technological arena of developing nations like Nigeria. For quality and reliable information, the primary source of data has been scholarly materials, peer-reviewed journals, government articles, and online sources. 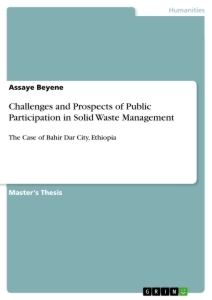 The research is based on qualitative approach since it provides a depth of unique understanding of events. 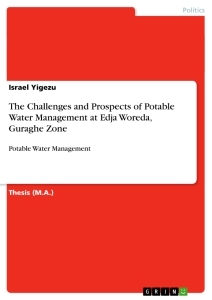 On the basis of the purpose of this study, secondary data has been resourceful and relevant to the findings. Journalism involves gathering, assessing, creation and presentation of news as well as information. On the other hand space journalism involves the information that integrate space, a place or a locality either physically, virtually or augmentally in the practice and process of journalism. It is an intersection between spatiality, mobile technologies, location-based services, and journalism. This type of journalism emerged recently and allowed journalists to demonstrate new methods of telling stories and informing the society regarding the world around (Weiss, 2013). Amid the evolving media landscape, space journalism has hugely altered the entire landscape of information production as well as distribution. Spatial journalism allows the society to be more informed and learn new aspects concerning the world around them. For instance, individuals are aware of the neighbourhood locations through mobile applications. This form of journalism also offers the society, information on the basis of the location. In the current world, mobile applications help people to move from point A to point B through maps, locate a new restaurant or a dry cleaner service and so forth. The location based services are tremendously growing through the use of mobile applications and as such, the space journalism industry can provide news to a higher degree through going beyond the news in the zoning (Abdulazeez, 2015). Further, this is of paramount significance especially to communities that go through disasters; hence this allows mobilization since news is provided where they are located. In a huge way, space journalism has created a unique opportunity for journalists to exploit the new technologies to reinvigorate journalism as well as address key contemporary issues in the world. In Nigeria for instance, to be precise, there are lots of contemporary needs that cannot be currently addressed by the traditional media (Abdulazeez, 2015). To a large extent, the mainstream media are no longer having any unique access to political information as well as the advantage of distribution. This, to a great way, has left a huge gap for space journalism to exploit. With the current development in technology, space journalism offers a unique opportunity and platform to journalists by allowing them a chance to exploit the new ways of incorporating the user generated content within news context.Therefore, Space journalism has offered journalists ample opportunities to engage the public during news creation as well as formulation. This is because, with emergence of this type of journalism, journalists have been offered new avenues to incorporate as well as allow the citizens to participate in the creation as well as distribution of news (Adaja, 2012). This unique platform has largely allowed the press to engage the public in addressing key critical issues. For instance, in Nigeria, space journalism gives journalist a chance to engage the citizens in airing out or participating on contemporary issues such as political affairs as well as also enhancing the public participation in the political process. Space journalism has indeed provided an enduring platform for journalists to comprehend the society. When covering a certain community, journalism does not give much thought to the location. It is important to note that location is not just an address. This viewpoint gives a leeway for in-depth understanding of different public views concerning the community surrounding them. Also offers suggestions on how a reporter should identify gaps in the coverage of the community as well as the approach to be used in bringing light to spaces and new places in towns, states, and cities (Adaja, 2012). Current trends demonstrate that the location based services are a growing sector that individuals are seeking and want. 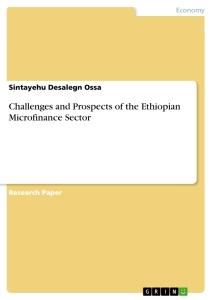 It is anticipated that this will be a $13.5 billion industry by the year 2016. There is a lot of potential in the combination of geolocation and the news. In the 21st century, there are many opportunities for journalism to improve and transform. In particular spatial journalism could help individuals make sense out of the world’s surroundings (Adamolekun, 2007). The power of information and location through journalism, mobile technologies, and location-based services is gaining prominence and great attention on the phenomena of communication. Geography and location have a significance in the democratic role of journalism. Location communicates types of freedoms and inequalities in the coverage of communities. Spatial journalism is providing cognizance of powerful tools such as google maps and google places. Also, there is a high perversity of the digital and mobile technologies. Besides, individuals become aware of how to handle interpretations of the surroundings (Adamolekun, 2007). It must be emphasise at this juncture that space journalism has no doubt assisted many developing countries such as Nigeria to achieve some key developmental goals. For instance, this type of journalism has the potential to employ the essential interactive features in a manner that enhances citizen participation as well as engagement in finetuning strategies to ensure solutions to some key problems facing such nations. With the ability to engage individuals as well as citizens, space journalism has the potential to ensure that nations such as Nigeria get appropriate solutions to key challenges such as corruption, and other historical injustices. 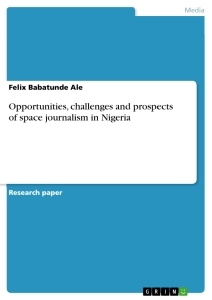 This can be achieved, since the space journalism has the potential to offer a platform for public deliberation in search of such key solutions (Adamolekun, 2007). With such opportunities, space journalism emerges as a very potential platform for nations such as Nigeria, which has been faced with severe cases of prevalent corruptions,insurgency and other vices to get long lasting solutions, thus allowing for improved development as well as progress.